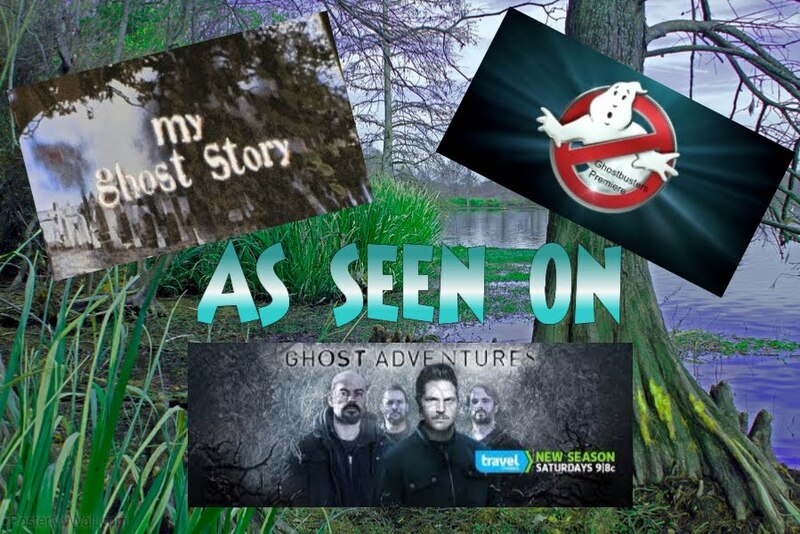 Becky Vickers(BECKS) - Everyday Ghost Hunters/Goatman's Bridge Ghost Tours: GHOST HUNTER APPS-REAL OR JUST CHEAP ENTERTAINMENT??? 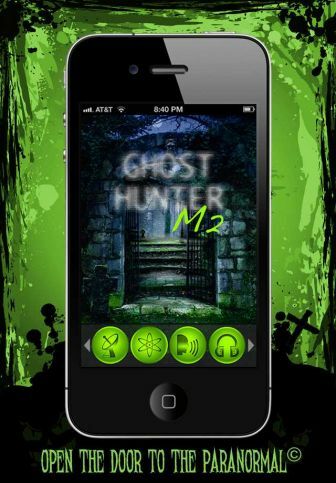 GHOST HUNTER APPS-REAL OR JUST CHEAP ENTERTAINMENT??? Do I think they are REAL or cheap entertainment? Both. I think if a ghost can move objects, talk to us from beyond and show themselves on camera and video....then why couldn't they manipulate an electronic device into a form of communication with us? Anything is possible....right??? The very first day I downloaded it at work. I didn't really know how to use it. But it looked fun and interesting. I went home and was just sitting in the living room and decided to turn it on.. So, I turned it on and just put it on the chair and continued just to relax and watch tv. Nothing was happening...the radar was going around and around but no "blimp" on it at all and no words where showing. After about 30 mins all the sudden... the radar starts going off and there was a little blue light on the radar. I thought...huummmm interesting....and then....(because it has sound) it said "Rebecca" and the word "Rebecca" shows up on the screen!!! NO WAY!!! Now...... 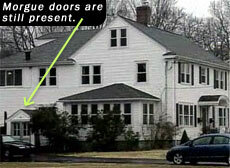 I wish I could say that being a Ghost Hunter that I thought this was way cool....but the truth is...... I thought "What the ???????" It scared the crap out of me! lol I know, I know, I am supposed to lie and say it didn't but it DID!!!! For those of you who have Iphones, you know that if you have a password on your phone you can not get into your phone or your apps until you physically punch in your password and THEN you have to touch the app you want to open…. I have included a link below that talks about the app and explains how to use it. I thought it was good so I wanted to share it with you, so that it would give you a better understanding of what I was seeing and hearing. So, the above app is called Paranormal. It is VERY simple. The above screen comes up with a radar and below it, a writing area. Is this app fun and creepy? You bet. In a way, it is one of my favorite little apps to play with, but for an actual investigation NOT my first choice. lol How it works. There is a sound that goes off and a "dot" appears on the radar that indicates a spirit is present and where it is located. And at random times(supposedly when a spirit is communicating with you) below the radar, in the writing space, a word suddenly starts to appear....in a creepy, squiggly writing. It LOOKS really cool but here's the problem.....there is NO sound associated with the word, so if you are not looking at the apps constantly you will MISS the word. (the above photo is an actual photo on my phone of the word "ball" being written) Another problem is there is no recording of this word at all. I don't think this is a great app for collecting evidence, but it is certainly entertaining. Give it a try and let me know what you think. I have not used this app very much, but it LOOKS impressive, doesn't it? It has a little of everything on it. Would I use it in an investigation......maybe, but to be honest I just haven't experimented enough with it to say. The one thing I do like is that it DOES keep a log that you can go back and review. (unlike the Paranormal) If you use this app, I would love to know what kind of luck you have with it in your investigations. This is a fun little app that has different colors you can use as a Strobe light. Some say that by using a Strobe Light you can see spirits easier. When I investigated the Queen Mary this is what one of their investigators used. The above apps are the ones I am experimenting or playing with to you the truth...ssshhhhh that doesn't sound very professional does it........ANYWAY.....some are just a waste of time and some I find to be entertaining and some I find.......could very well be useful in an investigation. You guys give them a try and get back with me on your luck with them. Some do cost a little money....but not more than 99 cents(I think) I'll give you an update on them after I have used them more.